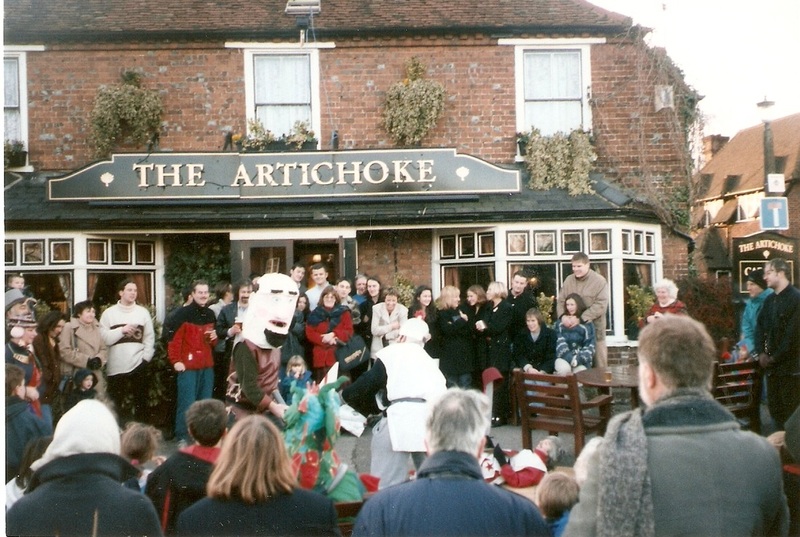 The Artichoke has been known to sell beer supplied by Ind Coope, Taylor-Walker, Cannon, Clutterbuck. 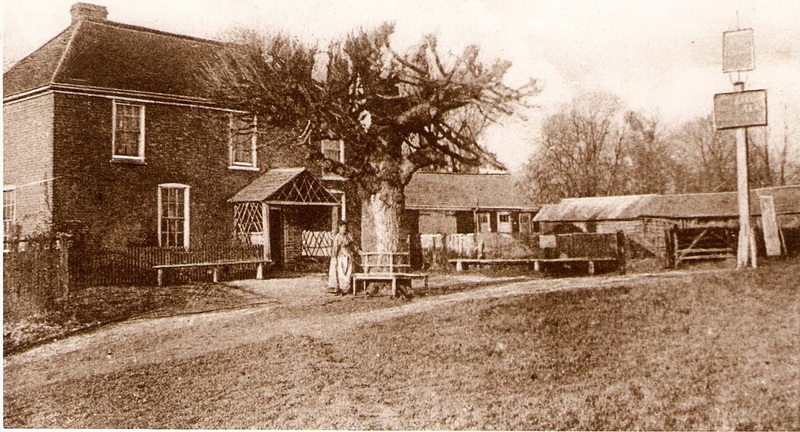 Sections of the pub were built in the 17th and 18th century and the earliest reference is 1756. 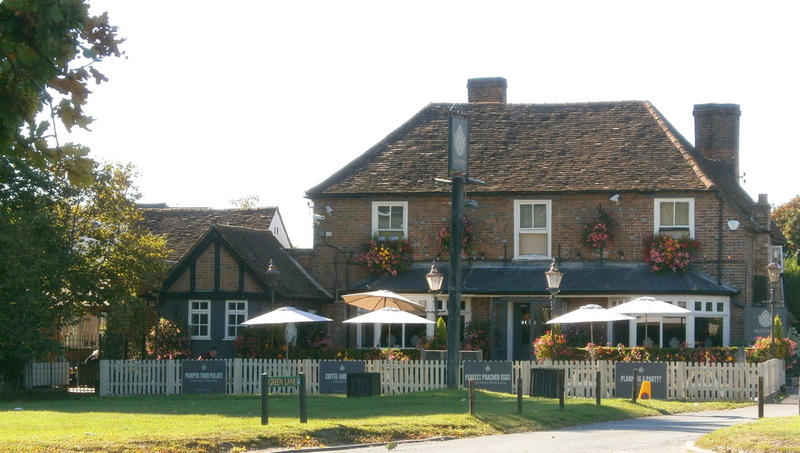 According to the Hertfordshire County Records 'notes and extracts from the Sessions Records of the St. Albans Division 1770 to 1840 Volume IV it was recorded in the Midsummer Sessions 1819 that ' Rules and regulations of a society of good fellowship to be established at "the Artichoke", at Croxley Green, in the parish of Rickmersworth' (Draft Sessions Book VII/145. 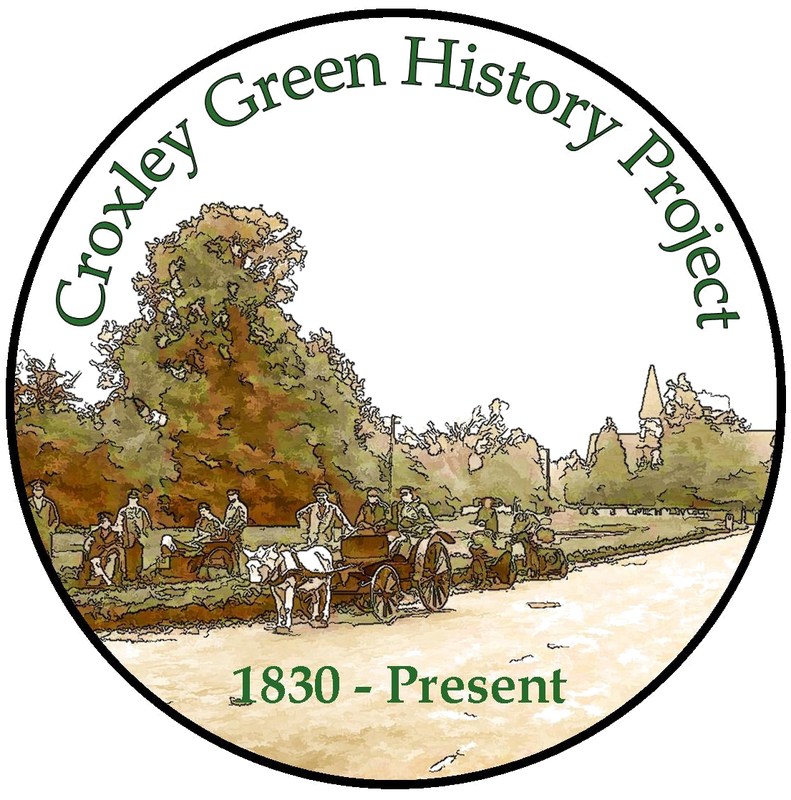 This reference could be relating to the 'Commoners' when they were first established for Croxley Green. It was known they held their meetings at The Artichoke. 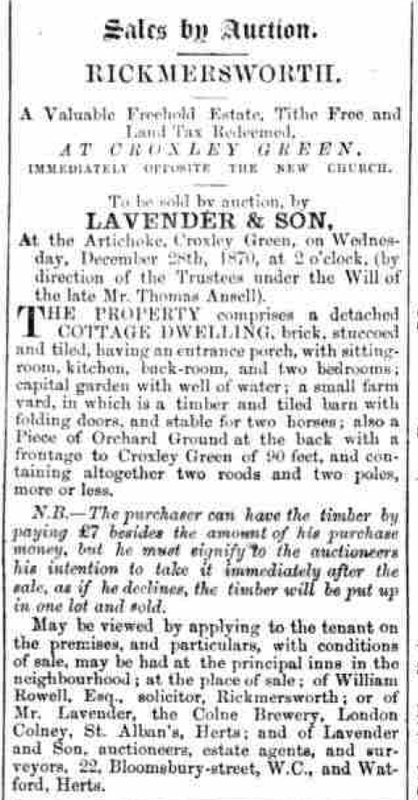 In the Watford Observer on 6th March 1886 the following article appeared. 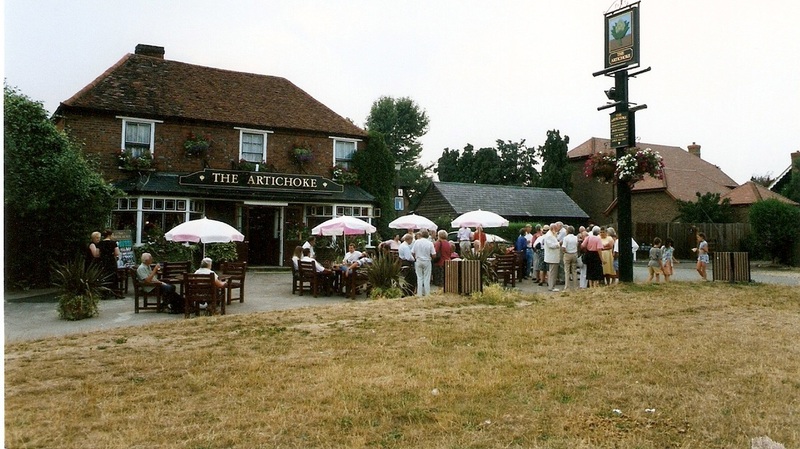 An important meeting of the commoners was held at the Artichoke Inn on Friday week, to consider the best means of disposing of the compensation money paid by the Metropolitan District Railway Company, amounting to £246 16s 4d., and to consider other business. 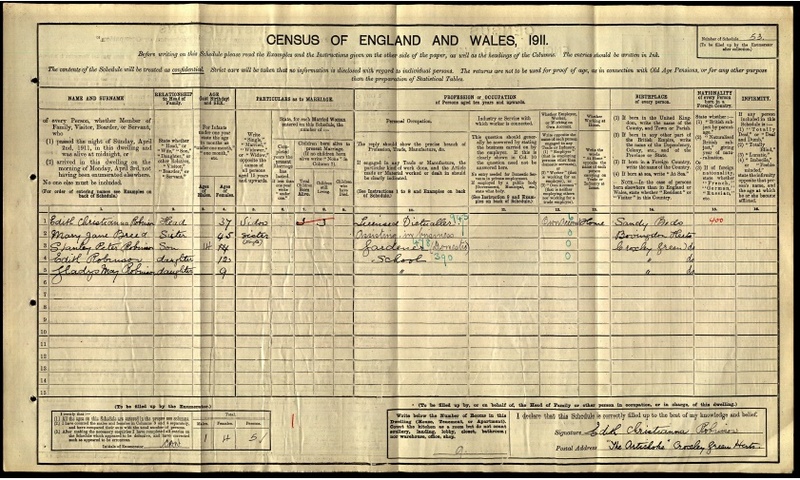 The meeting was fully attended by commoners, and included Mr. H. C. Finch, Mr. W. R. Woolrych, Mr. Lewis Evans, Mr. Barlow, Mr. R. B. 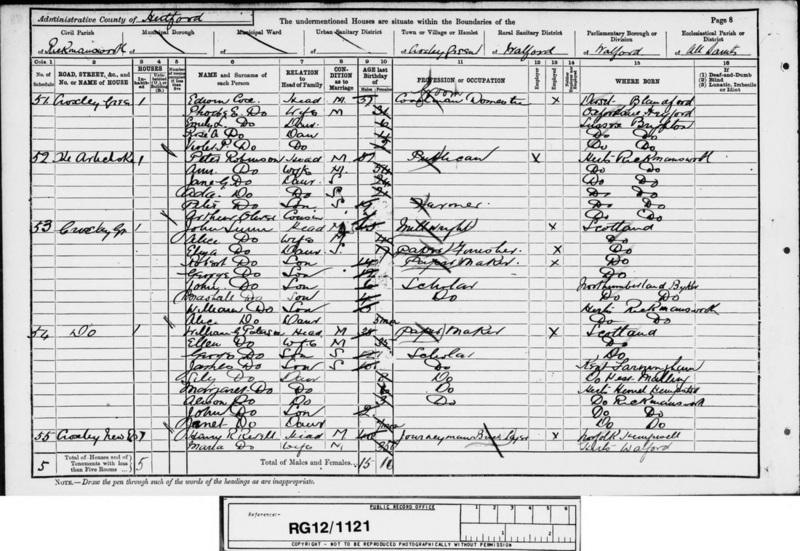 Day, Mr. Harvey W Fellows, Mr. Wake -Walker (solicitor to Mr. A. Clutterbuck) Mr. John White, Mr. George Stone, Mr. Austin, Mr. Cudworth, Mr. W Rance, Mr Gurney, and many others. Mr W R Woolrych was elected chairman. 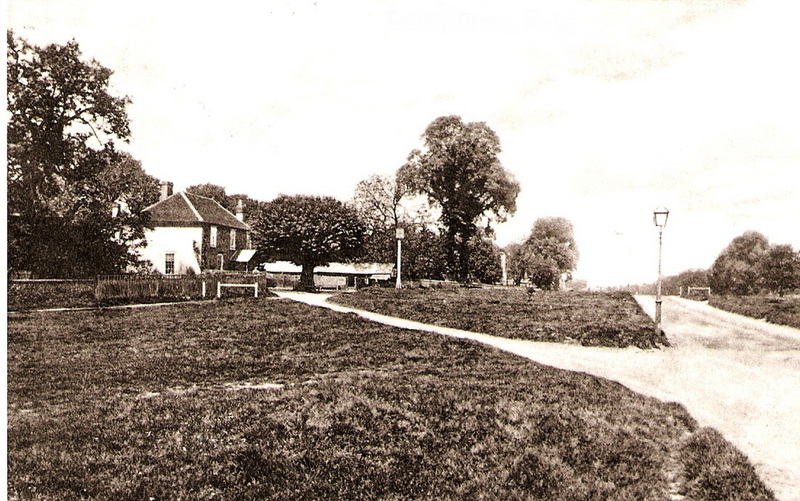 It was unanimously resolved that the consent of the commoners should be given to the proposed exchange of seven acres of land part of the Moor, for10a 1r 26p of land purchased by Messrs. Dickinson and Co of Croxley Mill, and intended to be transferred to the commoners. 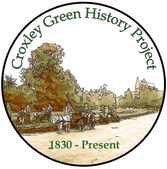 It was further unanimously resolved that inasmuch as the rights of the commoners, and included a right of pasturage over Croxley Common (26 acres)and Croxley Common Moor (82 acres),together with a valuable fishery in the Gade. 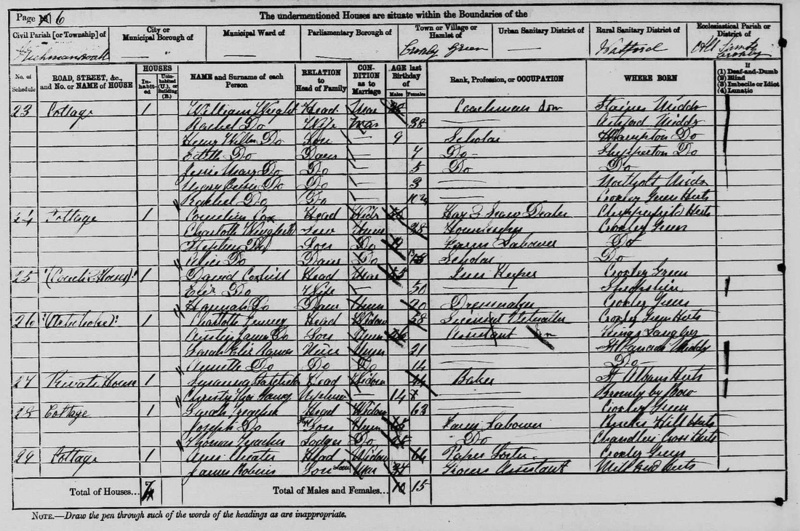 (Cashio Chain Bridge to Gad's Pool), have, from lapse of time and division of land, become badly defined and not fairly “stinted”, nor sufficiently maintained, that a portion of the fund £246 16s 4d should be applied to satisfy the cost of fully investigating the particular rights of the commoners, and also that the provisions of the Commons Act, 39 40 Vict., ch. 56, and especially Section 3 , which relates to the “Regulation of Common” and includes adjustment of rights and improvement, should be applied to these commons with the sanction (which has been obtained) of the Master and Fellows of Gonville and Caius College, Cambridge, Lords of the Manor, Mr. Fallows was desired to set on behalf of the commoners. The meeting concluded with a vote of thanks to the Chairman, proposed by Mr Austin and seconded by Mr White'. 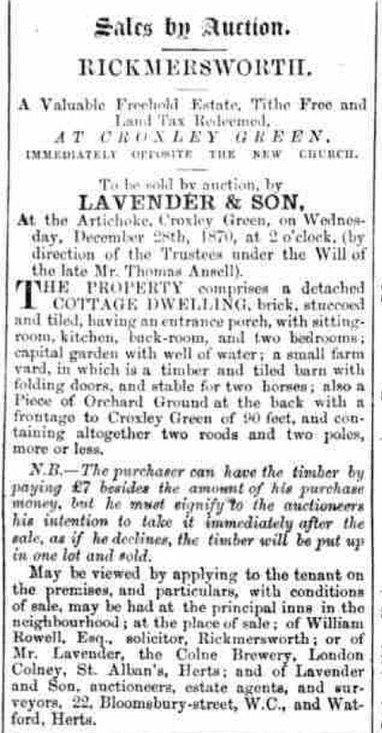 Beech wood from nearby Copthorne Woods, March 1869 was another example that was auctioned. 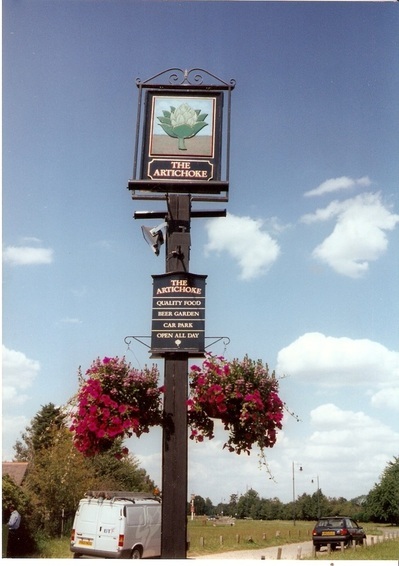 As well as the Coach and Horses, The Artichoke also attracted families when Mr Stone's orchard on the opposite side of The Green was abundant with ripe cherries. 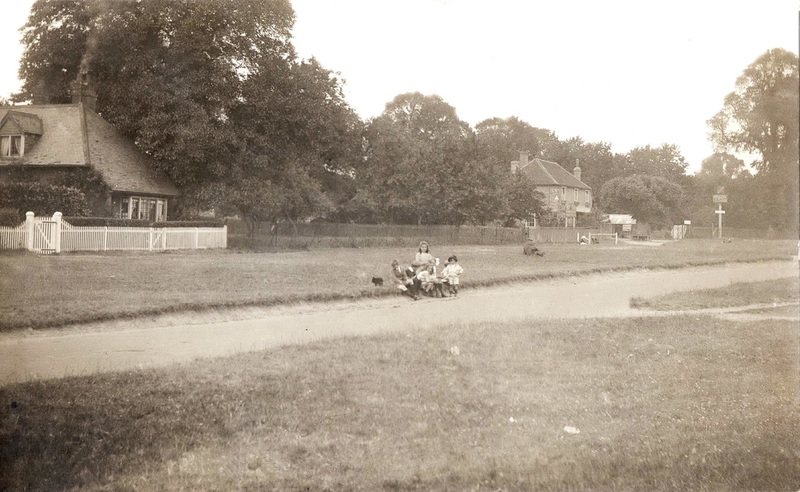 Past residents recall as small children in June/July they would sit with their parents during this time and enjoy the cherries whilst father enjoyed his glass of beer. The signs outside the pub advertise the Bass Brewery as well as teas also available. 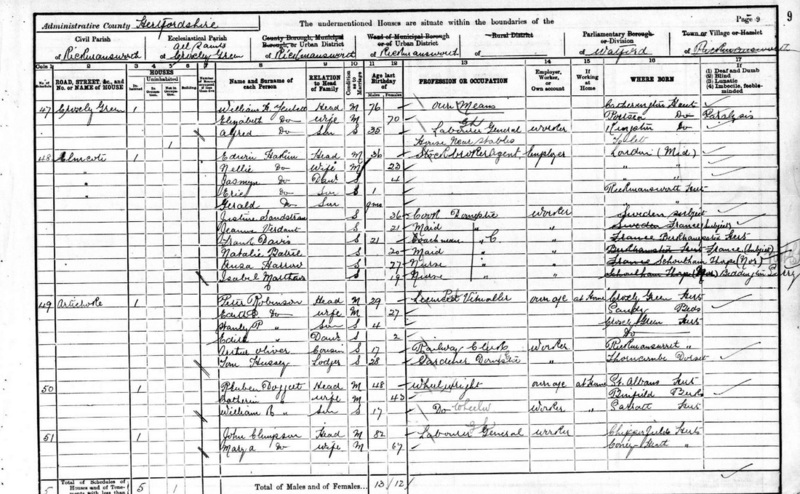 The Robinson family were publicans for many years. The attractive tree standing outside with its friendly seat encompassed the trunk. Older residents remember a blacksmith's shed next door and to the left of the pub the house has been replaced by more modern dwellings. An important missing feature of the scene is the war memorial as this was not erected until the following year. IMMEDIATELY OPPOSITE THE NEW CHURCH. the late Mr. Thomas Ansell). in one lot and sold.